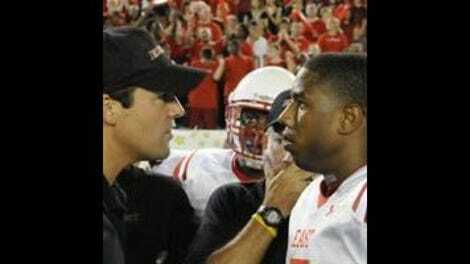 Friday Night Lights: "The Son"
When you lose someone close to you, no one knows what to do. There are plenty of pat, socially accepted responses depending on the person who has died—“They’re in a better place” or, in the case of tonight’s Friday Night Lights, “They died for their country”—but nothing that addresses the specific sense of loss you feel, wrapped up as it is with warm memories, pointed regrets, nagging resentments, and all the other complications of a lifelong relationship. Even those with the best intentions have a way of saying or doing the wrong thing—suggesting that time will make things better or showing up for a forced bad movie night—but it’s the obligation of the bereaved to pretend that those doing the comforting have said or done just the right thing. And, after a while, that’s another sort of burden. It must be harder still, Matt learns in this episode, when you’re mourning someone for whom, when pressed, you have to admit hating. We’ve seen Matt’s dad only briefly over the years and that’s keeping with a pattern in Matt’s life. When Matt describes his father as enlisting and reenlisting to avoid the responsibilities of family, there’s no reason to believe he’s doing anything but telling the truth. His father’s been absent so long he feels compelled to seek out incontrovertible proof he’s really gone, partly out of our need to see the body of those we lost and partly because he wants to make sure the man can really let him down no more. And yet, beneath that hate he professes to the Taylor family, there’s a deeper bond. This is episode gave Zach Gilford a chance for a tour de force and he ran with it. The meltdown at the Taylor’s dining room table—still buzzed on cheap beer and shocked by the faceless corpse of his father and put off by the way the carrots were touching the meat—was achingly well played, capturing mixed feelings that had started to melt into emotional white noise. Matt realized, maybe for the first time, that his kindness toward others and his self-sacrificing ways had as much to do with rebuking his father’s example as virtue. A history of silence brought him to that point and while the sputtering, you-had-to-be-there story he tells at the funeral clearly doesn’t bring him close to resolving all the feeling he has toward his father, they allow him to think of him as human for the first time. Matt’s story, and Gilford’s give-this-guy-another-role-this-good-soon-please performance dominate the episode, but my favorite moment belongs to Coach and Julie. As Coach stretches out on the floor, playing with Grace and watching Smash get some college ball game time, she looks at her father and imagines him gone. We know exactly what she’s thinking and Coach knows it too and responds with the kindness and comfort Matt never knew from his father. 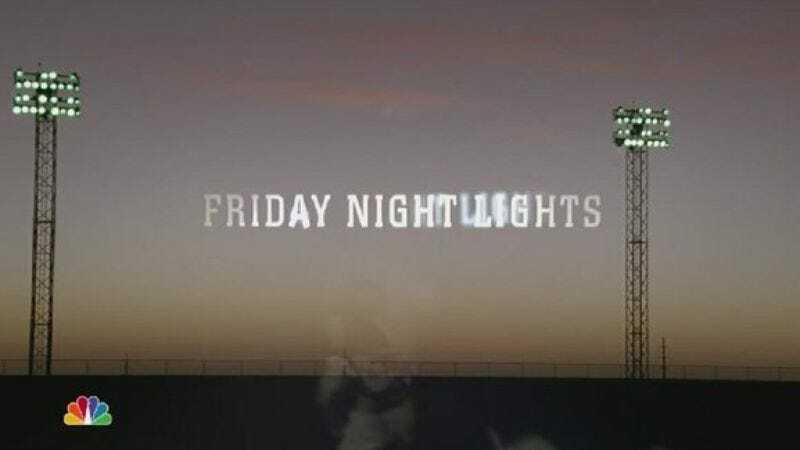 It’s moments like these that make Friday Night Lights the most emotionally rich show on television, and in possession of knowledge about how families work that no other drama can claim. Other stuff happened as well, and even if it all seems secondary in light of the night’s main plot, it was nearly as well done. The opening game in which Coach gets second guessed by his own unseasoned players—and then sees the wisdom of their ways—was terrific and nicely established that Vince and Luke have put their differences aside. This episode also developed those characters quite nicely, watching Luke finally break with J.D. McDick… er, McCoy and land a date with the Riggins-rebuffed Becky, even if it was just to the car wash. The Vince material was nicely done, too, showing how the lure of crime and newfound success can exist side by side. “Don’t panic. Stay cool. And get paid.” Good advice that means very different things in different contexts. Finally, there’s the mostly quiet return of Lyla, sure to have some kind of impact next week. See you then.